With the first Wood Stove Decathlon only a couple weeks away, we are profiling the remaining teams in the competition. Take this opportunity to learn more about the design teams and their stove’s innovative features. “It’s so Hiisi, anyone can do it!” The Finnish stove is marketed as easy to use, inspiring the homonymic name Hiisi. The Hiisi is Finnish company’s Tulikivi's smallest hybrid heat-retaining fireplace and is especially well suited to modern low energy construction projects. The upcoming 2015 wood emissions restrictions in Germany has challenged Tulikivi engineers and innovators to meet the high standards. After years of development the stove is ready meet the world's tightest emissions standards set for 2015 and to compete in the Wood Stove Decathlon this November. The Hiisi differs from standard room-heating stoves in that typical wood stoves are not normally heat-retaining units. The Hiisi's heat-retaining soapstone releases heat more slowly, and in the form of soft, pleasant radiant heat and it can heat water. This is a major design point since this stove won't over heat new energy efficient homes. These types of homes are quickly becoming the norm so Tulikivi has worked to minimize the convection heat into the room using thermal radiation and a double glass door. Despite its compact size, the Hiisi is a hybrid fireplace, meaning that both pellets and wood can be burned in their firebox without the need for any further equipment, accessories or even electricity. The model that Tulikivi is bringing to Washington D.C. has already been sold in Europe for the past 5 months. Only taking a brief pause to celebrate Hiisi’s success, Tulikivi is getting ready to launch the next generation of Hiisi models this coming January. The new model promises to burn even cleaner than the original. Tulikivi hopes that their Hiisi stove will help promote the benefits of residential biomass heating. They work hard to ensure that consumers are aware of these benefits. While selling these masonry heaters in the US, Tulikivi educates their consumers of the long tradition of masonry heating and the pros and cons of thermal mass radiant heat compared to dry hot convection heat. Over the past two years, insight from consumers and Tulikivi’s importer network has led to developmental and design changes to get the look and feel of the Hiisi just right. We are looking forward to seeing Hiisi in action at the Wood Stove Decathlon November 16-19, 2013. Vote for your favorite stove at Popular Mechanics. The Alliance for Green Heat and the West Penn Power Sustainable Energy Fund (WPPSEF) are working together on the Wood Stove Decathlon to help make affordable wood stoves cleaner and more efficient. Wood heat is a vital source of renewable energy for homes across the state of Pennsylvania and throughout the mid-Atlantic region but technology advances are needed. The Wood Stove Decathlon, modeled after the Solar Decathlon, is a technology competition to see which team can best design and build affordable solutions to making wood stoves less prone to operator error. Even today’s EPA certified stoves perform poorly when loaded with unseasoned wood and not given enough air, which results in excessive air pollution. 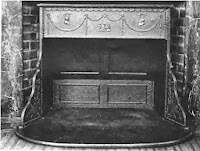 The Wood Stove Decathlon was partially inspired by the legacy of Ben Franklin, who in 1744 launched what has become known as the “Franklin stove” – considered by many to be the forerunner of American-designed efficient stoves. 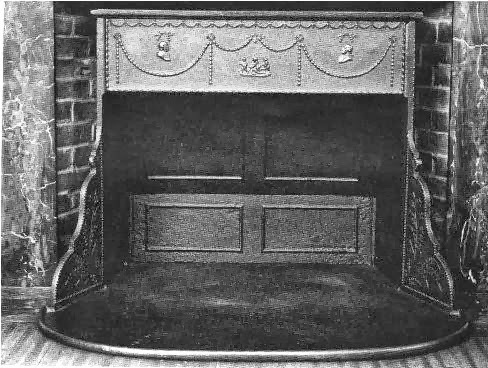 In 1826, the Franklin Institute sponsored a contest with a $100 purse for the best cookstove design of the year, during a time when the price of wood was skyrocketing due to deforestation. There have not been any other stove competitions until now, when the motivation for a technology challenge has more to do with the necessity of reducing fossil fuel use and improving air quality. Between 2000 and 2010, wood heat grew 65% in Pennsylvania, nearly double the national average and nearly three times faster than any other heating fuel. As of 2012, 145,000 or 2.9% of Pennsylvania residents heated primarily with wood or pellets and more than half a million use it for secondary heating. 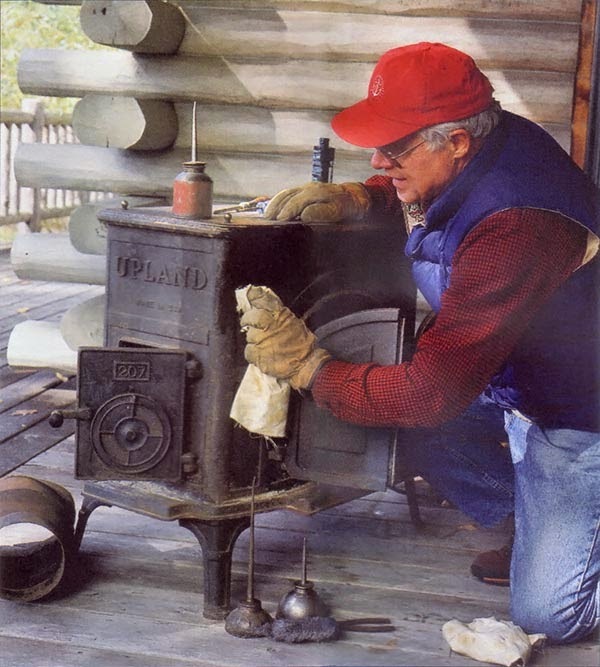 The Wood Stove Decathlon is being held on the National Mall in Washington, DC from Nov. 15 – 19. Partners include WPPSEF, Popular Mechanics, USDA, DOE’s Brookhaven National Lab and state agencies in New York, Washington, Oregon and the District of Columbia. For more info: http://www.forgreenheat.org/stovedesign.html. The Alliance for Green Heat, the organizer of the Wood Stove Decathlon, is a non-profit organization promoting cleaner and more efficient wood heating. Visit http://www.forgreenheat.org for more information. The West Penn Power Sustainable Energy Fund invests in the deployment of clean energy technologies throughout the West Penn Power service region. Investments are made to promote: the use of renewable and clean energy, energy conservation and energy efficiency, and the attraction, establishment and retention of sustainable energy businesses. Visit www.wppsef.org for more information. On Oct. 4, the Building Performance Institute (BPI) released BPI-1100-T-201x: Home Energy Auditing Standard and its companion, BPI-1200-S-201x: Standard Practice for Basic Analysis of Buildings for public comment for a period of 45 days. These standards were developed in an effort to standardize and clarify what is included in a whole-building, science-based energy audit of existing homes and include assessments of wood and pellet stoves for the first time. Up until now, hundreds of thousands of home energy audits have been done without any provisions to inspect the efficiency and safety of wood and pellet stoves. Audits often lead to upgrading old and unsafe heating appliances and can involve subsidized or low interest financing. The Alliance for Green Heat identified the omission of wood stoves in energy audit standards in 2011 and began campaigning for their inclusion. In the spring of 2012, an Alliance article about this systematic omission that particularly impacted rural, low and middle-income households led to serious talks with BPI who agreed to work on it. The Alliance and BPI built the Solid Fuels Task Group, inviting representatives from EPA, HPBA, CSIA, and the Washington State Department of Ecology along with Scott Williamson and Mike O’Rourke. The standard will direct BPI certified energy auditors to do a visual inspection of wood and pellet stoves and how they are installed. It will outline the indicators that will guide the audit process and tell the auditor when a recommendation should be given to the homeowner to call in a trained hearth professional with either National Fireplace Institute (NFI) or Chimney Safety Institute of America (CSIA) Certification. The Home Energy Auditing Standard addresses energy usage, occupant health and safety, and includes a cost-benefit analysis. This standard has received wide interest and has undergone multiple rounds of public review. The Standard Practice for Basic Analysis of Buildings parallels the Home Energy Auditing Standard. This standard is primarily focused on energy conservation measures and criteria. The standards are undergoing American National Standards Institute (ANSI) review, which includes a 45-day public comment. Comments are being solicited from stakeholders and the general public. To submit comments, visit: Formal Public Comment Process.